Conventional wisdom dictates that the goal of your first Ironman should be to finish. Any expectations you have about time or performance – put them aside and just cross that finish line. Even better, cross the finish line with a smile. 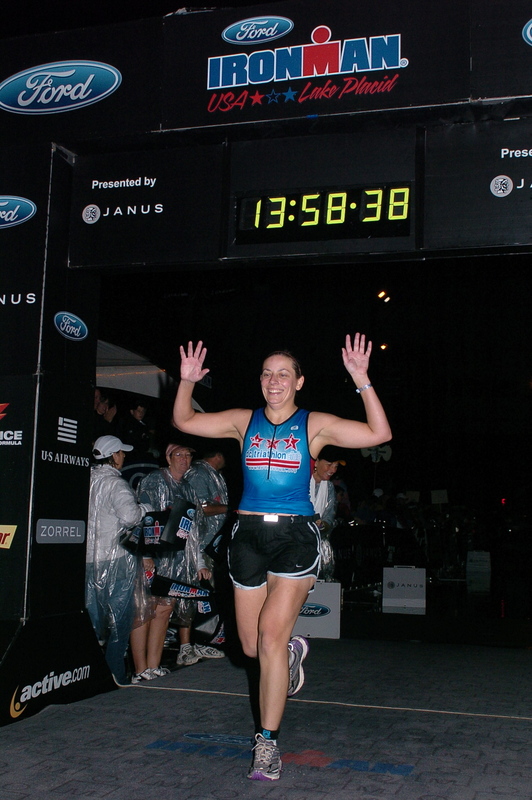 I held onto that primary goal of having a great experience at Ironman Wisconsin in 2009 and Ironman Canada in 2011. Now, five years later as I return to the place it all started, I’m ready to set new goals. These are the ideas in my head driving me to M2 cycling classes every Tuesday and Thursday, the USF Koret pool every Wednesday and Friday, and out on the roads/trails each weekend. Finish the bike portion in under 7 hours. 6:45 sounds nice and doable. Finish the run in 5 hours flat, maybe a little less. Spend the remainder of the following week hanging out with my family in upstate NY. It’s ok if my youngest niece waddles quicker than me. If I hit my targets above, I’ll finish IMLP closer to 13 hours. This would be a great improvement, and not unfathomable. I recently re-discovered my copy of “Training Plans for Multisport Athletes,” and read the chapter on “13 Weeks to a Sub-13 Hour Ironman.” There’s a chart that provides several paths to hitting the 13 hour or less mark – and I’m already there. So, this year, I want to have time goals and performance goals. I want all my friends and family (and readers of this blog) to know my goals. The goals are posted here – and they’ll be hanging on the fridge door (along with spectator duties) at the IMLP House. Please help hold me accountable. Please push me to train a little more seriously. And, I promise to not only keep these goals visible, but also work as hard as possible (regardless of rain or heat) to meet them. Categories: IMLP 2, training | Tags: race goals, Races | Permalink.